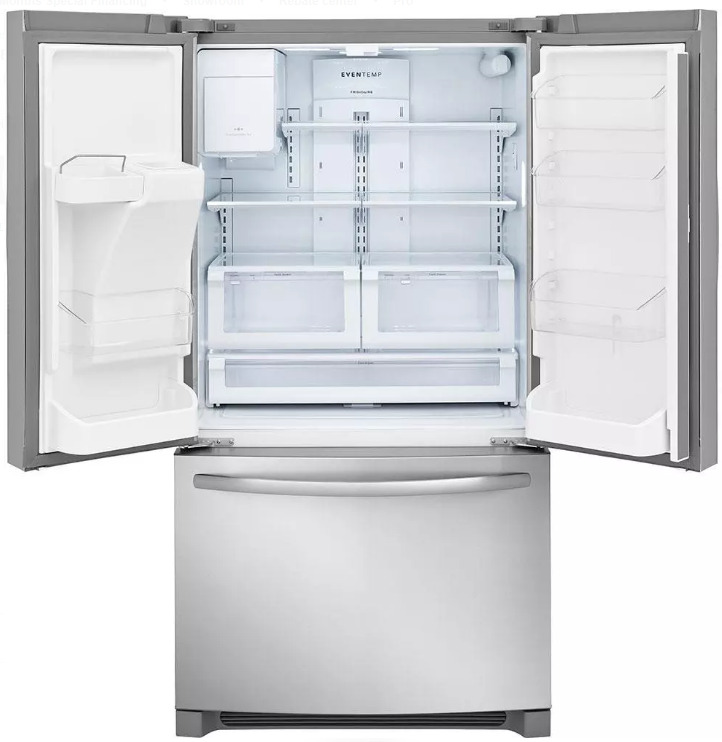 When you purchase a qualifying Frigidaire Refrigerator. The Frigidaire 27.19 cu. ft. 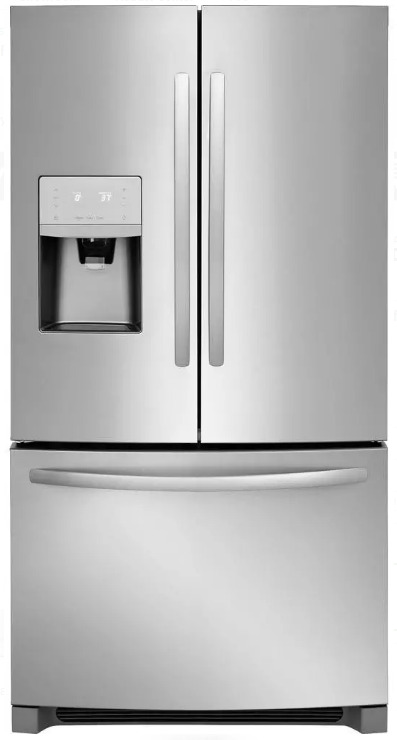 Stainless Steel French Door Refrigerator has a large capacity so you can store more. 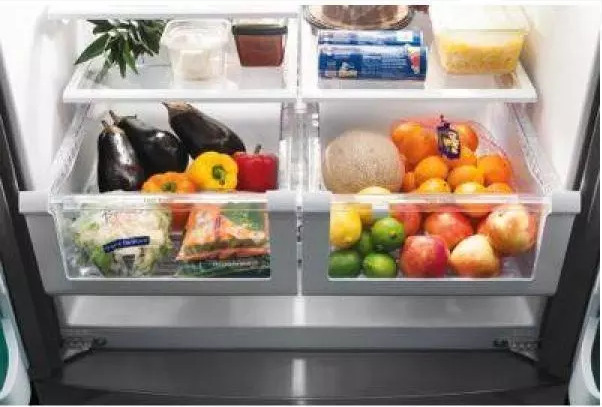 It's easy to stay organized with a Full-Width Drawer that is large enough for party platters, 2 Crisper Drawers for fruits and vegetables and door bins that have room for large items such as gallons of milk. 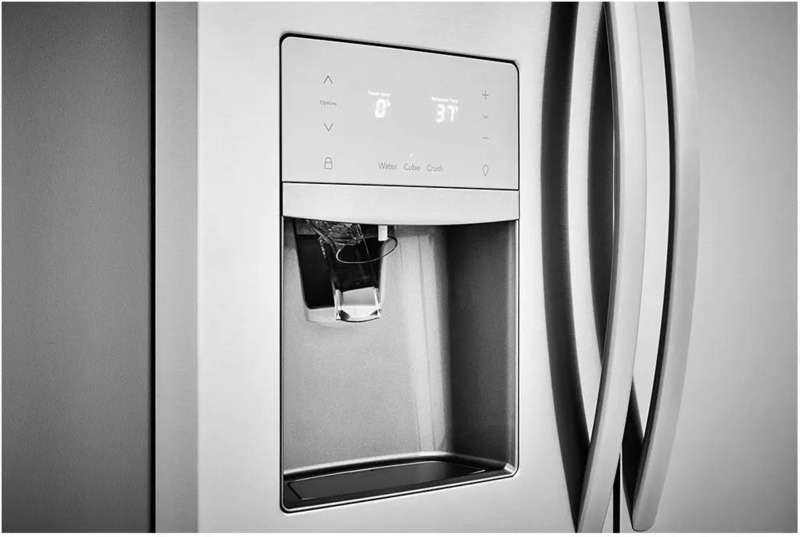 The ENERGY STAR Qualified refrigerator also has bright lighting that keeps contents clearly visible.